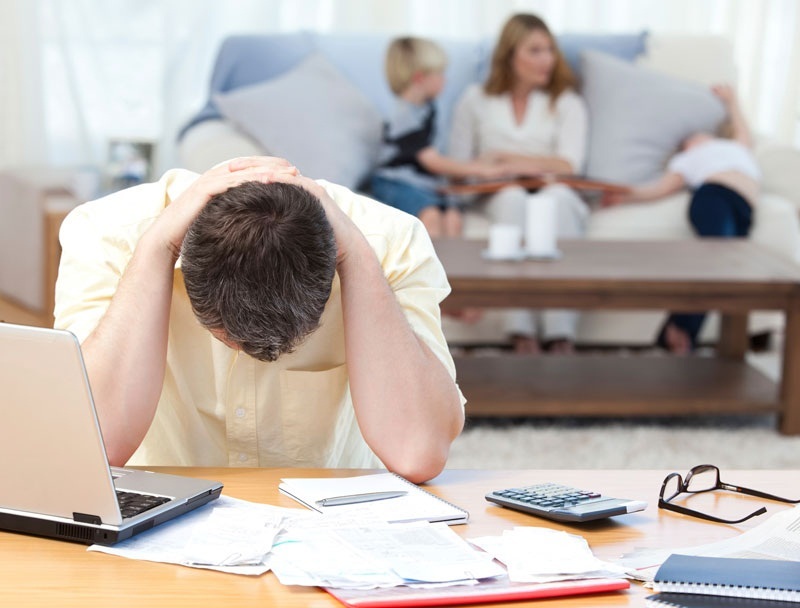 It’s not just your finances that suffer. Debt can be “good” or “bad” – i.e. for something constructive or something frivolous – but the end result is often the same. Being in debt, for whatever reason, can take an emotional toll that many people find incredibly difficult to deal with. So, if you’re in debt, especially if you have no credit check loans or other types of unsecured loans, and you feel that it’s negatively impacting on your emotional state then you’re not alone. Anxiety – 29% of people in the Nottingham study who felt that they were suffering high levels of stress as a result of debt said that they also felt anxious. Depression – higher debts, and not being able to make repayments on those debts, are associated with higher rates of depression in adults. Relationship issues – when dealing with stressful situations, such as an unmanageable level of debt, we often take this out on the people around us. So, the emotional toll of debt could be resentment or anger towards an other half or someone who has either caused your debt issues or doesn’t have any. Shame – getting into debt is not something many of us feel proud of and shame and embarrassment can undermine self confidence and self-esteem. Fear – getting into debt has some serious consequences (such as losing your home or financial penalties) and so you may be permanently living in fear if you’re not dealing with your debt. The feelings that come with being in debt can take you by surprise. However, there is a way to deal with the emotional toll so that it doesn’t overwhelm you. Take control of your debts. Once your debts are manageable again, many of the negative feelings will subside. Don’t ignore any problems. The sooner you deal with what is making you feel anxious or scared, the sooner you will feel better. Ask for help. It could be help sorting out debt problems or just someone to talk to about how you feel. Change your life. Some behaviours can exacerbate the emotional toll of debt – for example, living way beyond your means. Small changes, such as cutting back and learning to budget, can make you feel empowered. Set some goals. Achievable debt goals with reasonable timescales will give you something other to focus on than the negative emotions you might be feeling. Forgive yourself. Debt is common, you are not alone. The gentler you are with yourself the easier it will be to turn your situation around.